Our Bradley birth course helped us to establish realistic expectations and equipped us as a team to approach labor and birth with confidence. As an added bonus we met and became friends with five other couples who have since become families that we are truly bonded to. All of our babies were born within a couple of months of each other back in 2009, and just two years later we're celebrating the arrival of their siblings. 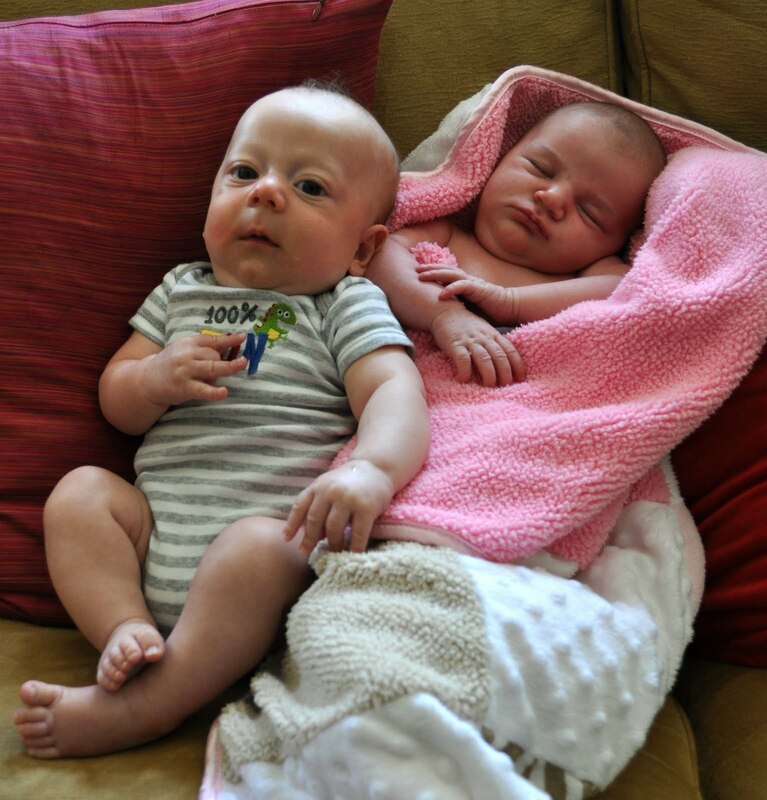 Merritt was born first, and Mary Anna was born just a week ago in a laborious and accomplished 36 hour VBAC. We got to meet her today, and she weighs just two ounces less than Merritt! Big brothers Roscoe and Jonathan were in all out toddler mode, and the newbies slept and nursed, hardly a surprise on either account. Two more babies will be born this Summer. Awww! So sweet! The new babes are so so cute! My mother's group is all on round 2.0 as well. We all started getting together when Lilah was 3 weeks old, so all the kids are within a couple of months of each other. We still get together every Wednesday for a play date. Of the 8 of us only one isn't pregnant again or already had another baby yet. It's great because Adelle will have her own little playgroup built in to our existing one! Do we have a case of the twinsies?